If you're a Firefox user, you've noticed that it reverts to Yahoo as its search provider each time it automatically updates. Here's how to stop that with a simple tips. 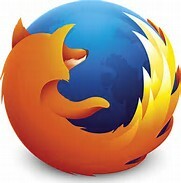 If you use Firefox as your browser, you've surely noticed that the web browser uses Yahoo as its default search engine. This is going to be the case until at least 2019. Sure, you can change the default search engine to one that you prefer, but each time Firefox updates itself -- which happens quite frequently -- it will revert back to Yahoo. Here's how to make sure your default search engine remains each time Firefox updates. click Tools on the menu bar, then choose Options. On a Mac, click Firefox on the menu bar and choose Preferences. 2. Next, on the left pane of the page, click Search, then change the default search engine to whichever service you like, such as Google, my personal favorite. 3. Click Advanced on the left pane menu, choose the Update tab, then uncheck the box that reads "Search engines" at the bottom of the page.